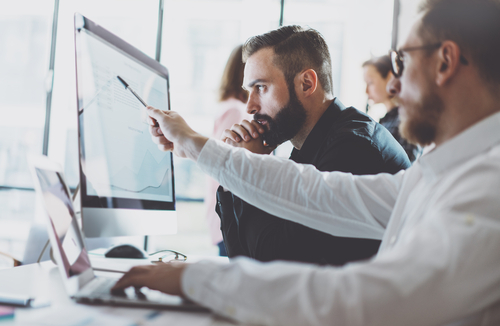 How can insights professionals ensure that their efforts are aligned with the business, so they painlessly deliver actionable insights? How can insights leaders bring inexperienced team members up to speed more quickly? Olivetree Insights addresses these challenges with InsightsCentral software and coaches. 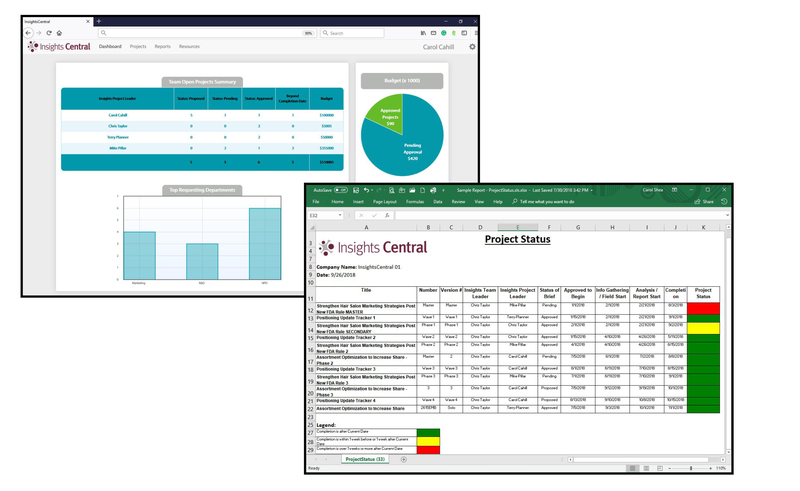 InsightsCentral software includes a best-in-class Brief and Hub developed in collaboration with Fortune 500 teams; an Insights Association validation survey; and the Era 3 strategic model. Insights “Smart Brief” development process is defined, collaborative, and transparent to strengthen business alignment. Leaders spend less time overseeing projects because the process for designing projects is clear with educational resources to help even novice researchers lead strategic discussions and make recommendations with more confidence. Based on extensive research and development with Fortune 500 teams, Insights Association validation survey and based on Era 3 Strategic Model. Avoid risky “traffic jams” and poor resource allocation with project portfolio dashboards, instant status reports, and timelines. Immediate access to research and analytical projects, along with accompanying information (e.g. discussion guides, reports, data files, etc.) so they can be leveraged to sharpen new projects and eliminate unnecessary redundant projects. Report organizer tools cut time in analysis and report writing. 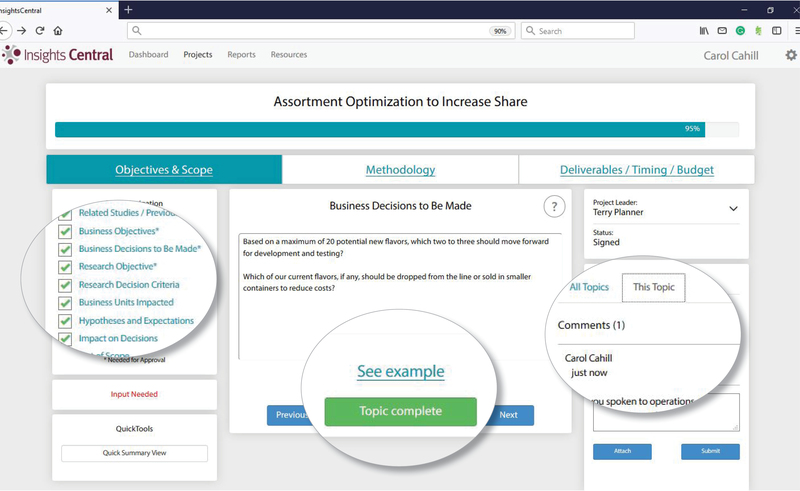 Identify research/analytics contributions to business decisions based on upfront agreement on use of the insights and poor post-project tracking of results. Based on proven project management best practices from the Project Management Institute (PMI). Our coaches are the “human plug-in” to support integration and utilization of the software. Coach team members on best practices for identifying problems and opportunities, and scoping projects. Coaches are seasoned insights professionals who have successfully led insights teams in delivering insights that drive business success.